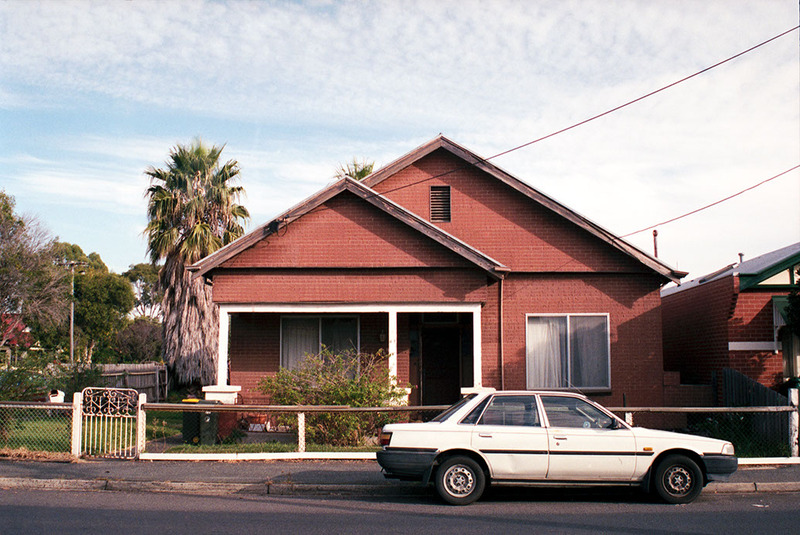 The Coburg Plan is a book of photographs and essays documenting a suburb in flux: the past lives of old Coburg and the new layers of residential architecture rewriting the landscape. Coburg is unique, and ‘The Coburg Plan’ is a loving ode to its specificity. Yet it sings the familiar strangulated refrains of a chorus of suburbs under development within a 20-kilometre radius around any big city in Australia. As Moreland City Council continues to march to the staccato beat of urban renewal, ‘The Coburg Plan’ documents these layers of change; the architectural trends of an incoming residential community; and the fast-fading evidence of past building stalwarts. Jessie Scott’s photographs, taken over the last six years, are accompanied by essays, stories and texts by Timmah Ball, Tilde Joy, Eugenia Lim, Emma McRae, Kyle Weise, Maggie Scott and Ugly Melbourne Houses, exploring what a shifting urban landscape might reflect about the economic and political forces that shape architecture, urban planning and infrastructure. Each writer has a different take on how communities and individuals living in these suburbs are influenced by these forces, or indeed, how their expectations of home and place shape and enable changes in the built landscape. The launch will feature readings from the book and the opportunity to purchase a copy of this architectural time capsule of the North-West.